We're hiring!NABCEP Certified Installers at OnSite EnergyHappy BCorp Month! Why Go Solar with OnSite Energy? 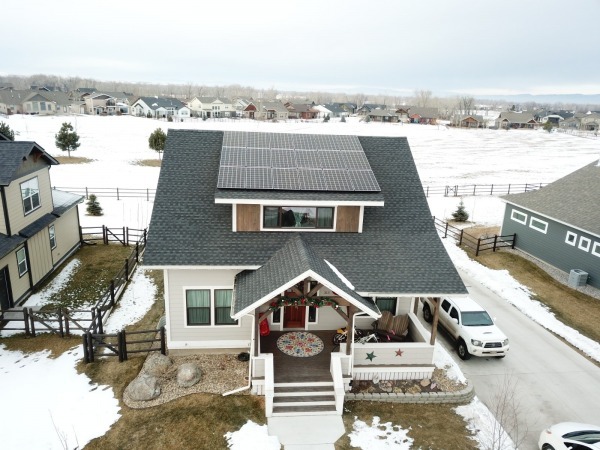 OnSite Energy, Inc. is a locally owned solar power contractor based out of Bozeman, Montana, specializing in solar electric (photovoltaic) project development, design, and installation. 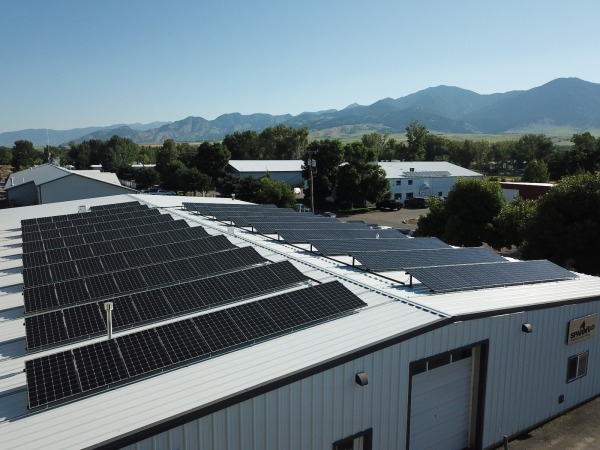 With a strong commitment to the advancement of solar power in Montana, combined with extensive industry knowledge and expertise, our goal is to empower our community members through the use of clean renewable energy…and we truly believe solar is for everyone. 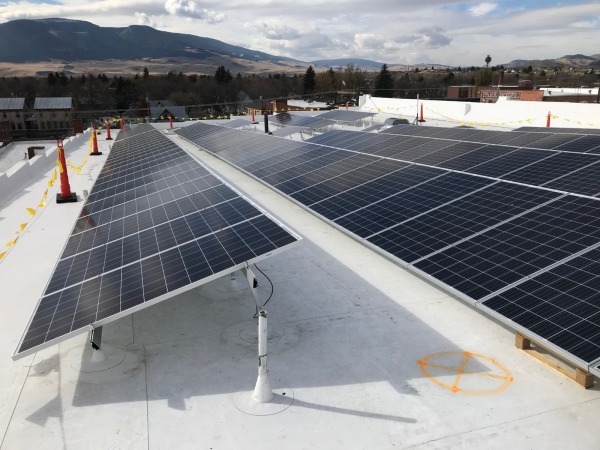 Xanterra Parks & Resorts recently had the pleasure of working with OnSite Energy on a solar install on our newly constructed Paintbrush employee residence at Old Faithful. This project was certified as Yellowstone’s first LEED Platinum building, and the addition of a renewable energy component was integral in helping us to achieve this prestigious accolade. The folks at OnSite Energy were knowledgeable, helpful, and easy to work with throughout the process and we look forward to future projects to help reduce our impact in the world’s first national park. We pride ourselves on delivering high quality system designs that focus on efficiency and maximum energy production. At the heart of our design process is a thorough site analysis to determine the best solution for your overall energy goals. Solar electricity is by nature very technical, but your true investment is in the energy that your system produces over its lifespan, not just the technology. By utilizing the latest site analysis tools for measuring shading impacts and environmental conditions, we ensure a high level of accuracy in our energy production estimates, giving you an unsurpassed level of confidence in your solar investment. We are so much more than just a solar installation company. Over the last decade of developing solar projects in Montana, we have built an extensive network of industry professionals and advocates, and in utilizing those partnerships we can more effectively develop and implement solar projects of any type and scope, from off-grid residential to large scale commercial applications. What truly sets us apart is our vast array of project development services, which include: Grant Funding Procurement, Creative Ownership Structures, Tax Equity Financing, and Advanced Design and Estimating Resources. We offer full-service turn-key installation services. Our staff is expertly trained in installation and safety practices and are certified through the North American Board of Energy Practitioners (NABCEP) as PV Installation Professionals along with NorthWestern Energy’s Qualified Installer Program. By utilizing state-of-the-art PV analyzing equipment, our technical staff offers comprehensive operations and maintenance services. Detailed commissioning reports, long-term maintenance contracts and system inspection services from OnSite Energy ensure that your solar electric system will operate at full potential the entirety of its life. Educating the public about the benefits and technical aspects of solar electric systems is a primary focus at OnSite Energy. We offer a variety of solar training and educational services, including the construction of mobile solar labs, PV training manuals, and in person workshops. Our training and education clients include but are not limited to, NorthWestern Energy, University of Montana, and the Montana Joint Electrical Training Center (MEJATC). As well all know, any community is stronger together, and we love to team up with like-minded folks. Over the last year, OnSite Energy joined the leaders of a global movement of people using business as a force for good™ by becoming a Certified B Corporation. We had the honor of becoming members of the Amicus Solar Cooperative, and also started our own program with local environmental organizations called Solar for Conservation.